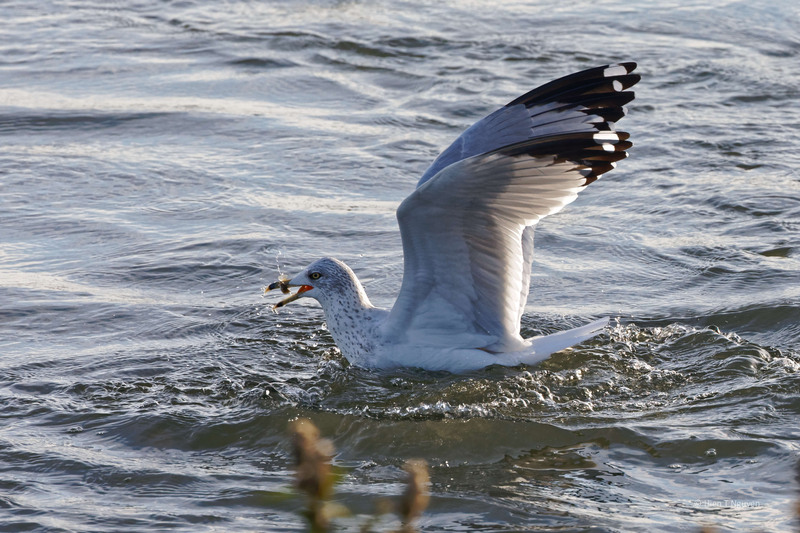 At high tide, ocean water pours into the salt marshes at the refuge, and provides a fish bonanza to the birds that hover near the sluice gates. 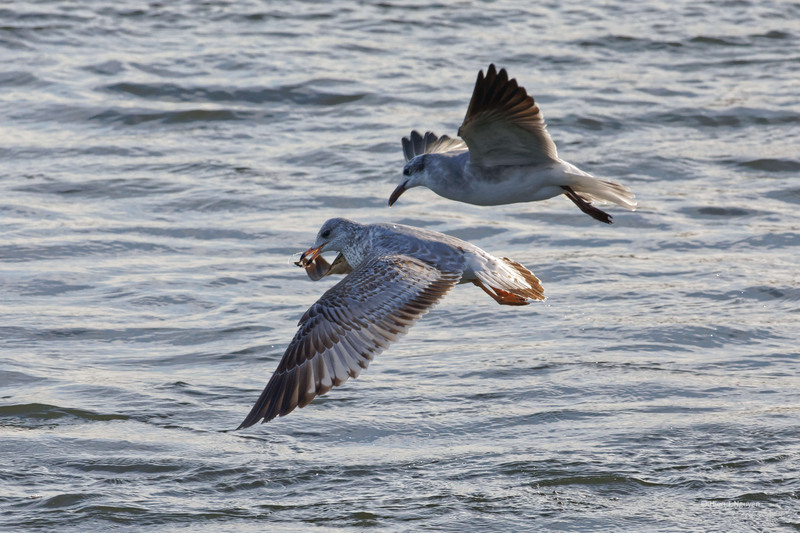 I saw a band of Seagulls diving with abandon into the churning water and I began shooting them. Only when I came home and looked at the images on the computer did I see that some of them actually had caught small fish. A Cormorant was equally successful, though they usually catch much bigger fish. Perhaps this one was young and still learning. 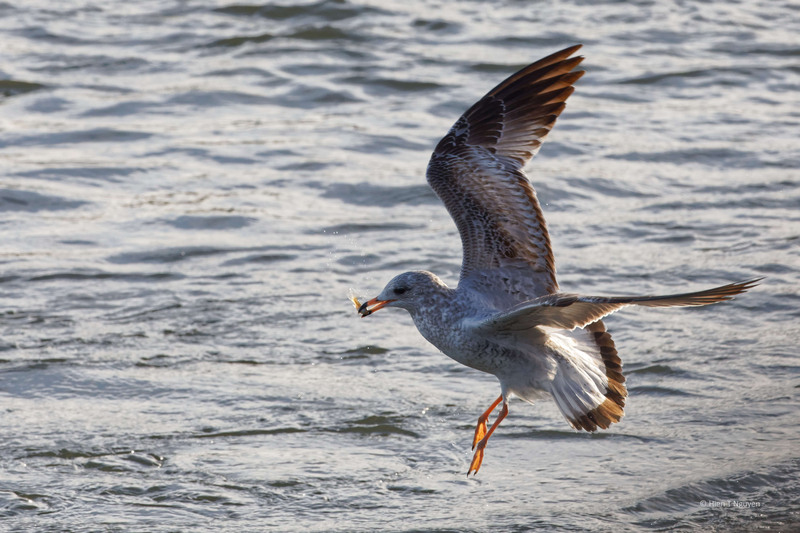 Wonderful captures, I’ve seen gulls with fish before, but I’never actually seen them catch a fish. Such a bonanza for the birds! 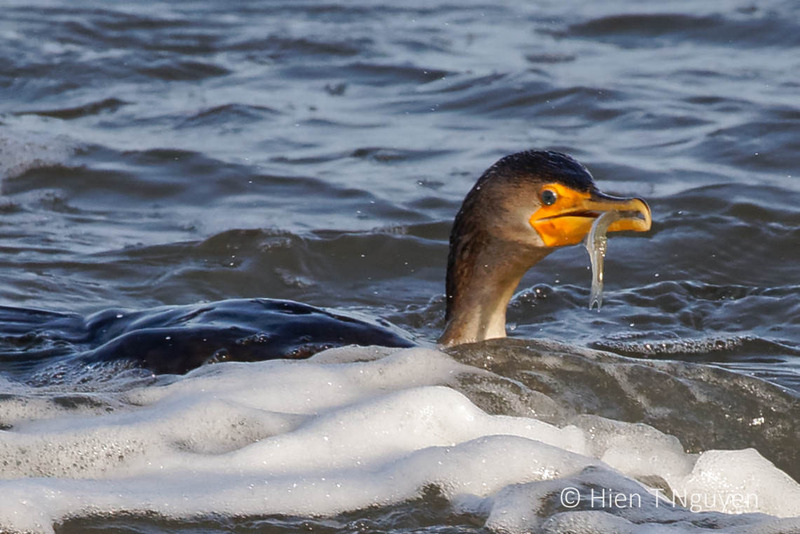 Wonderful photos, Hien, I especially like that first one with the gull’s red feet so prominent. Great shots. I love it when that happens and we get things we never knew we had until we download the pictures. Thank you! You are right about these surprises that we enjoy as a side benefit of taking photographs. Clear and sharp images! Great composition too!